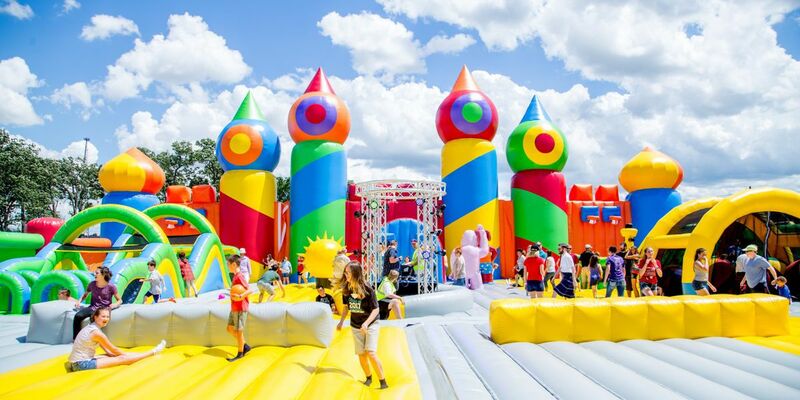 BOCA RATON, Florida - The world's largest touring inflatable theme park is coming to Boca Raton this weekend. Big Bounce America currently holds the official title in the Guinness World Record as the world's biggest bounce house at 10,000 sqft. The theme park features 50 unique obstacles, and a 60ft maze, designed for all ages. It also includes live DJs, climbing towers, basketball hoops, slides, ball pits, and competitive games.